If You Know Their History: Faithful through and through? 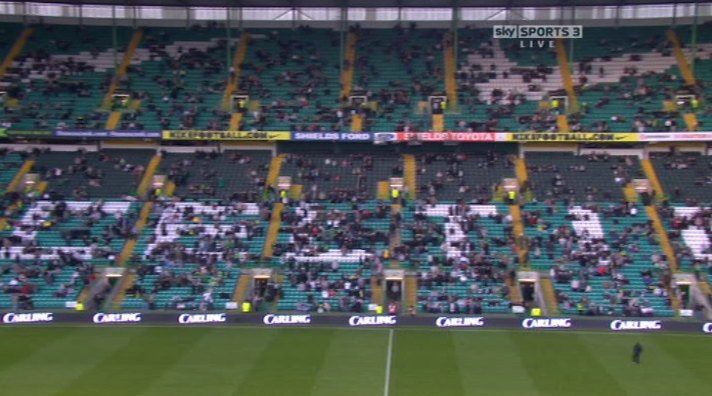 Celtic have released their official attendance of last nights match against high flying Motherwell as 27,500. Lets carry out some simple arithmetic. 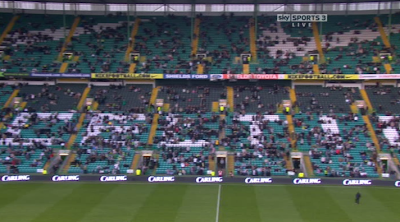 The capacity of Celtic Park is 62000. 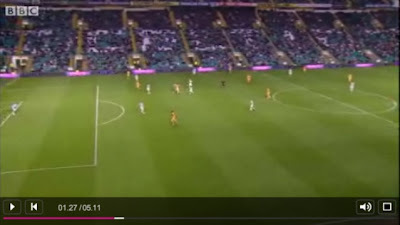 As you can see from the images there is less than one Celtic fan per 8 seats. 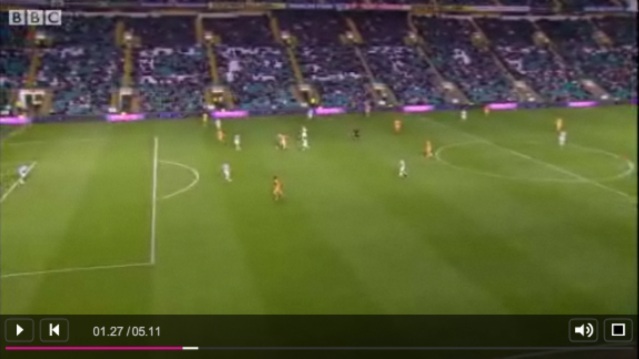 The attendance at Celtic park last night looks closer to 7200 than the 27'500 Celtic claim. 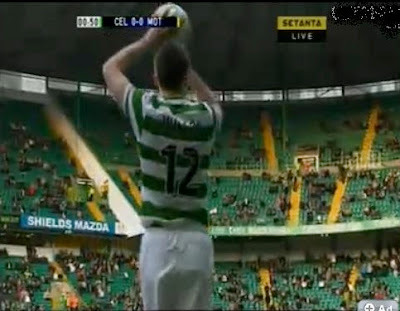 Faithful through and through? Only when their winning.